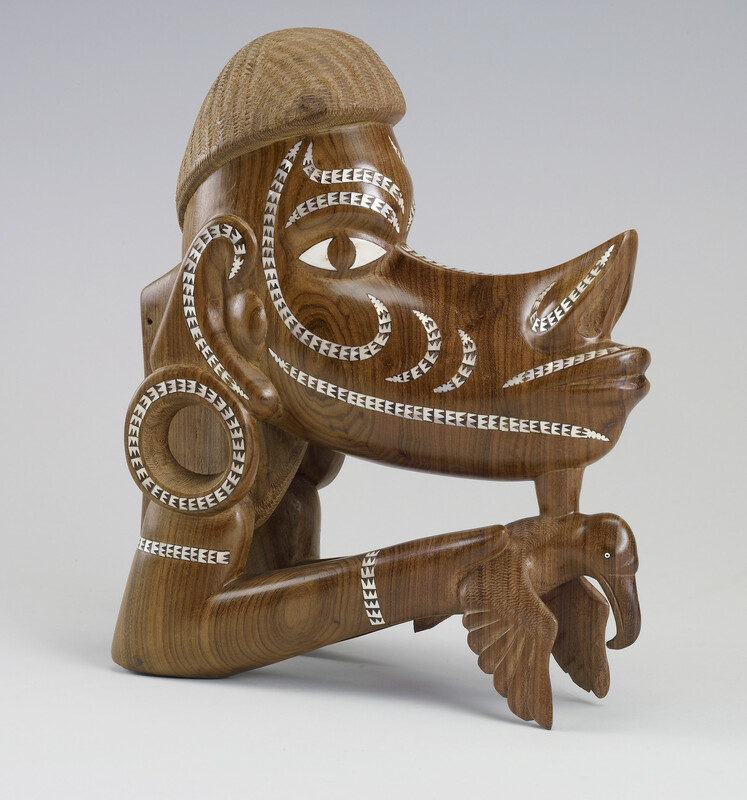 This carved wood head inlaid with shell is a musu musu or nguzunguzu - an ornament placed on the prow of a war canoe. It is intended to provide protection from wave and wind spirits and to pilot the crew through difficult waters. When used, the ornament would be lashed to the bow of the canoe just above the waterline. Carvings of this kind were typically painted black before being inlaid with shell designs which mirrored the face-paint of a warrior. They are distinctive for their anthropomorphic forms with protruding mouths and elongated ear lobes. Since the mid-twentieth century they have been made in large numbers for the tourist market.